This luxurious Sunshine Canyon residence was custom designed to maximize the views and ambiance of mountain living. 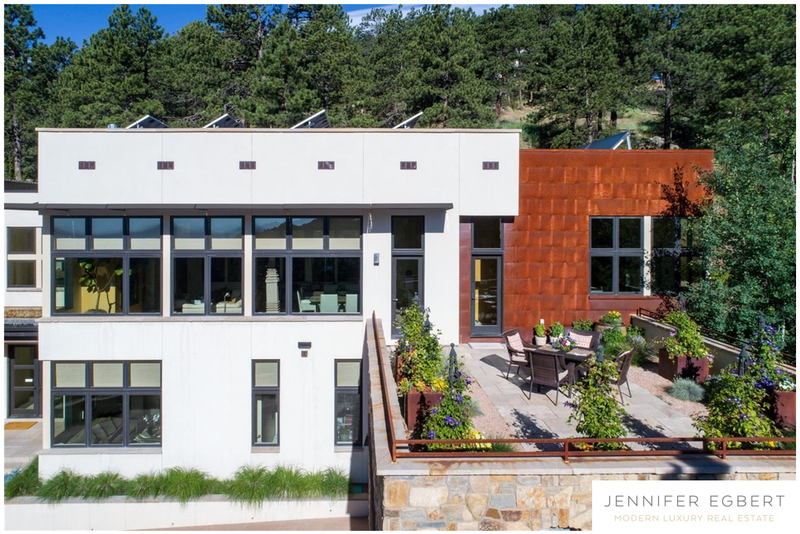 Just 7 minutes from downtown Boulder, the home is nestled into the hillside facing east, with stunning views of the mountains, city, and plains beyond. Thoughtful attention to unsurpassed quality and detail abound, including custom wood paneling, Poggenpohl cabinetry, Caesar Stone and marble countertops. Listed by Goodacre & Co. Listed by Goodacre & Co.